This is a follow up to my related question on what materials can mold earth move. Using a combination of Mold Earth (functioning as a shovel) and Portable Hole (as a bucket) "6 feet in diameter" ... "extradimensional hole 10 feet deep". Would it be possible to remove enough dirt under a castle (using the portable hole to move the dirt out) to achieve a sinkhole (possibly multiple trips)? and while Mold Earth specifically says "This movement doesn’t have enough force to cause damage" ... could it be assumed that gravity might add damage to some of the residence of said castle in this case. Mold Earth allows you to remove "loose earth". The foundations of a castle (or any other structure) are not, in any way, "loose earth" as the weight of the building compacts granular material until the building stops sinking (or falls over). A Portable Hole is structurally sound so putting one under a castle would still hold the castle up. Sorry, you're going to have to use the tried and true method - picks, shovels and back-breaking labour. Combat digging is called 'sapping' and is a part of actual real-life anti-castle warfare. Medieval sappers used a variety of tools to undermine fortifications, but moving loose earth was a significant part of the process. While mold earth is certainly not sufficient to undermine a fortification-- pickaxes and explosives being required for a lot of the work-- it should certainly help with a sapping effort. Furthermore, besieging forces used saps extensively to mitigate defensive artillery and arrow fire while advancing their own siege weapons so as to deal more damage to the defending walls. These saps were not underground tunnels as with an undermining effort, but rather trenches and embankments such as one might picture on WWI battlefields, zig-zagging towards the fortification to attempt to avoid allowing the defenders to enfilade effectively. For this kind of sapping, mold earth is perfect; there's no need to mine through stone or hard-packed sediment. Regardless of the strategy chosen, however, be aware that assaulting a castle is a dangerous business. Even with a carefully planned sap, fortification designs like the Italian Star Fort can ensure that defensive fire poses a real danger to would-be-besiegers, and undermining runs the danger of being ambushed by counter-miners. Also, the portable hole is a waste of time and resources. There are far better uses in warfare for such a powerful artifact than to shovel dirt in a manner more efficiently done via Mold Earth itself or a line of untrained laborers or men of the line. Furthermore, you usually don't want to move the dirt very far unless you are undermining; embankments about your trench are an important part of granting yourself cover. No. 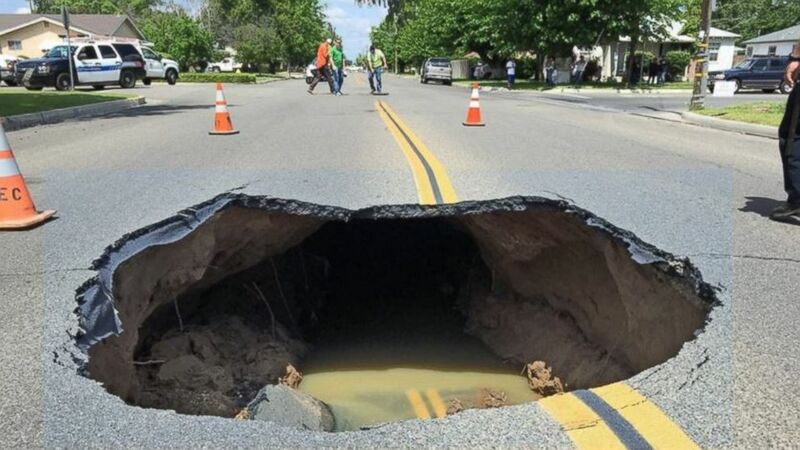 Sink holes are created when running water removes earth beneath the surface. Eventually the surrounding dirt is unable to support the surface (the top of the open space) and the remaining ground collapses. This effect could be created by something other than water (for example, sappers basically used this technique to bring down castle walls by tunneling under the walls then burning the tunnel supports), but the Mold Earth spell specifically states that the excavated earth moves "along the ground", which implies across the surface. 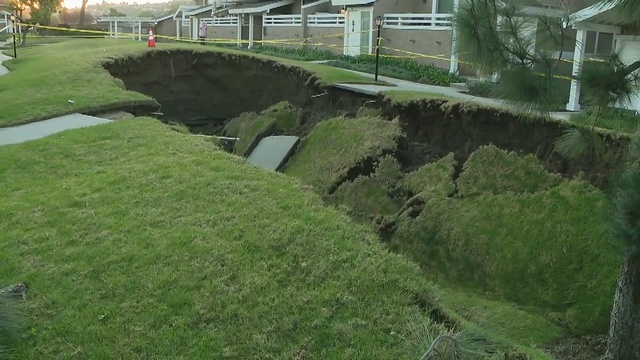 So you could dig a hole if the ground was loose earth, but you could not remove earth below the surface and get a destructive sink hole effect. •If you target an area of loose earth, you can instantaneously excavate it, move it along the ground, and deposit it up to 5 feetaway. This movement doesn’t have enough force to cause damage. If you are dealing with a building that is explicitly sitting on "loose earth" then there is nothing in the rules that prevents this usage. However, that term is not defined in the rules and is thus subject to DM ruling on what exactly it applies to. I discuss this at length in my answer to your previous question on the matter. Beyond the ambiguity of the term, it does seem unlikely that many buildings would be built on "loose earth". Especially a castle as you specify further in the question. Castles are huge and heavy buildings of stone with lots of people and vehicles as well to pack down the earth under it. It seems tenuous to consider any of it to be "loose". And that is, of course, assuming that it is built on earth at all and not on stone or cement or some substance like that. There are also practical concerns like how much earth you can remove (assuming any) without it collapsing on or near you and how large of a hole you can make before that happens. In short, if a DM rules that the material under a building is loose earth then you can at least attempt to create a sinkhole under it. However, the results of that sinkhole would also be at the DM's discretion. Talk with them about what you want to happen and what you are trying to do beforehand and they might give you an idea of how effective of a strategy it would be (if they allow it at all). How much can you fit into a portable hole? What counts as “loose earth” for the Mold Earth spell? Uses for a 4e Portable Hole? Can the cantrip Mold Earth create improvised cover? Does using Mold Earth to trip someone break its rule against causing damage? Can I dig a hole using Mold Earth? Does a Portable Hole break Dominate Person? Are you considered out of range of spells and weapons when inside the hole of a Portable Hole? Is a Portable hole flammable?